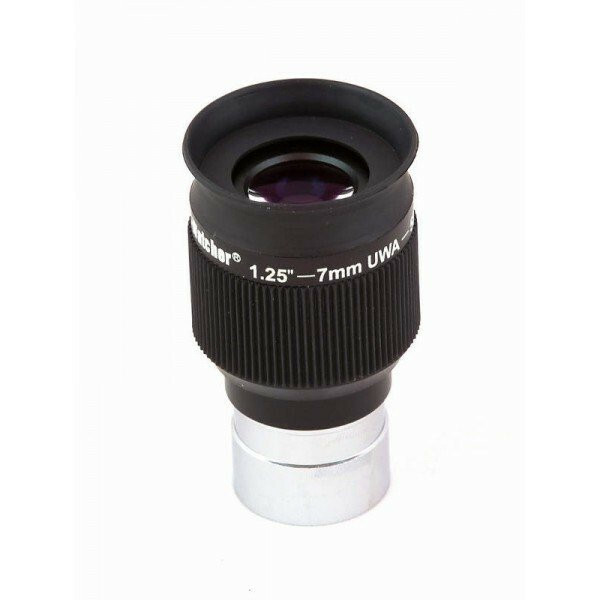 Sky Watcher Planetary 6 mm eyepiece, the new series of Sky Watcher eyepieces ideal for planetary observation. They are characterized by the widest field of view (58 °) and are indicated above all for observation at high magnification of lunar, planetary and double stars details. They have a good eye relief and are therefore suitable for spectacle wearers. The whole series has a rubber eyecup.